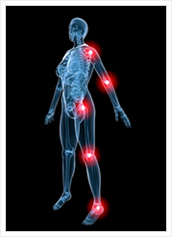 Certain tissues in your body are prone to wear and tear. This may happen from trauma, occupational exposure or overuse. 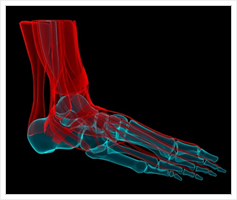 Specific tissues such as ligaments (tissue bands that connect bones with bones) and tendons (tissue bands than connect muscles with bones) are essential in preserving your skeletal stability, joints and range of motion. When affected by chronic degeneration and trauma, the good collagen and cartilage is replaced by a faulty one; creating painful and sometimes incapacitating conditions. Common conditions such as sprains, strains, tennis elbow, joint pain, heel pain, rotator cuff tears and trochanteric bursitis (inflammation of the bursa) are associated with chronic degenerative changes. Commonly prescribed anti-inflammatory medications, although effective sometimes in controlling the pain, do not heal or regenarate tissues. Regenerative therapy is used in cases in which other modalities such a medication, therapy and neuromuscular training have failed. Prolotherapy. Consists of injecting a solution of a local anesthetic (numbing agent) along with medical grade glucose, into a specific tissue: usually a tendon, ligament or a joint using sonography (unltrasound) guidance. This triggers a more intense healing reaction in the tissues, thus allowing faster healing. 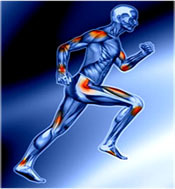 Numerous studies have shown ligament strength increase up to 40 %. Platelet Rich Plasma Grafting (PRP). An advanced type of therapy, in which the patient’s blood is drawn from a vein and concentrated by a special centrifuge device, ultimately creating a concentrate of platelets in plasma. This concentrate contai ns up to 500% of bioactive proteins, along with multiple growth factors, which are essential in inducing and accelerating tissue repair and regeneration. The PRP is injected into specific tissues by using the most advanced tissue guidance with ultrasound. Most of the benefit is seen in the connective tissues, bone, hyaline cartilages and development of new blood vessels necessary for tissue healing. Bone Marrow Aspirate Concentrate (BMAC). This procedure is a more advanced form of regenerative therapy, in which blood is withdrawn from the patient’s bone marrow (Iliac crest) and concentrated in a special device. The concentrate contains a significant amount of stem cells and platelets, which are capable of regenerating tissues to a greater degree than the PRP. The technique is more invasive and costly. It is usually reserved for cases in which there is significant tissue damage, or in patients who have failed other types of regenerative therapy. Sometimes, these grafts are enhanced with fibrin products necessary to create a tissue scaffold, in order to provide a tissue blueprint for regeneration. This new and exciting field is constantly evolving and is at the forefront of regenerative medicine. Spine: Sacroiliac joint, Ilio-lumbar ligaments, facet joints.